Did you know that NORAD (and earlier predecessor CONAD) have been tracking Santa’s flight for more than 50 years. It has become a tradition in many homes on Christmas Eve day to follow where Santa is and wait for him to get around the world to our neck of the woods. If you have not done this year, check it out on December 24 and let your kids watch in awe! Wondering how this all started? Check out NORADs Website for pictures and more neat information on this tradition! 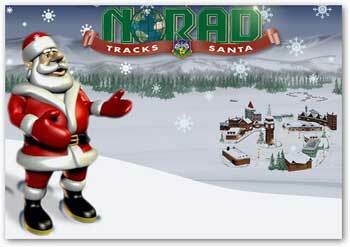 Did you know that you actually can call NORAD and speak to someone about Santa’s location, yup, how cool is that?!?! Yes! 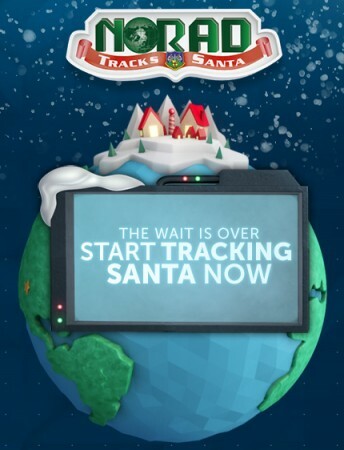 The NORAD Tracks Santa Operations Center is fully operational beginning at 3:00 a.m. MST on December 24th. You can call 1 877 HI-NORAD (1 877 446-6723) to talk directly to a NORAD staff member who will be able to tell you Santa’s exact location. Operators are available until 3:00 a.m. on Dec. 25th to answer your calls!